This Gaillac white wine Fraîcheur Perlée is pale gold in color with slightly green tints, this wine offers a fruity and fresh nose. The fine pearls will retain the sensation of freshness and exacerbate the natural aromas of Far from the Eye and Sauvignon. 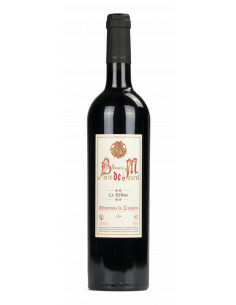 To drink very fresh, it is an excellent wine for aperitif and seafood. The wine is kept for a short time on lees & bottled early, causing the formation of fine bubbles or « pearls ». Only the free¬run juice and the first press juice are used for the AOC. Bottled at the Estate using sterilised stainless steel equipment. (steamed after each drawing). 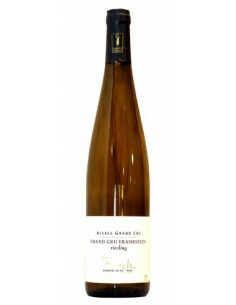 Pale yellow in colour with a hint of green, this wine offers a young and fruity bouquet. The thin “pearls” will enhance the sensation of freshness and the natural aromas of Loin de l’Oeil and Sauvignon. Best served chilled, it is perfect for aperitif and goes very well with seafood.